The Club, situated in the town of Marazion, west Cornwall, enjoys what is probably the finest location for dinghy sailing in the United Kingdom. 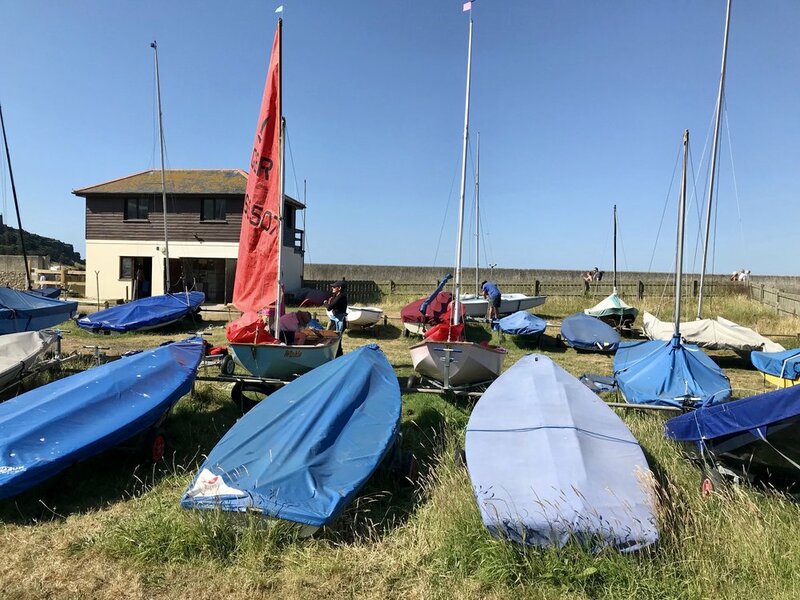 The Club has on shore facilities to match the natural advantages with which we are blessed and we have very dedicated and talented volunteers who work tirelessly to provide outstanding sailing for our members. The clubhouse is situated facing St. Michael's Mount. It has a large upstairs clubroom and bar, a sun lounge and a terrace overlooking the beach. Downstairs there are changing rooms, toilets, a kitchen and storerooms. Both ladies' and gentlemen's changing rooms have hot showers. The dinghy pen lies some 230 metres to the west of the clubhouse. A boat tractor is provided for towing dinghies up and down the beach. More information about our Club may be found in the Club's Year Book.